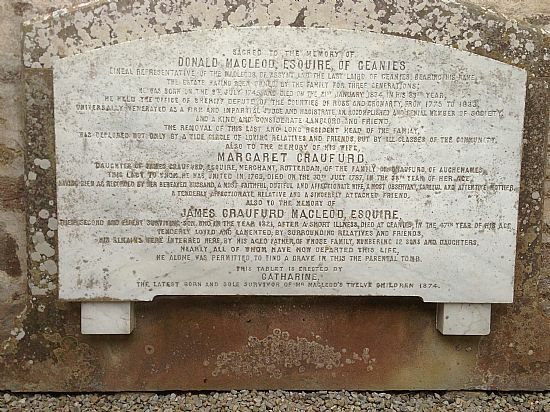 James Craufurd (Crawford) Macleod [1775-1821], the son of Donald Macleod of Geanies in Easter Ross, was in Berbice by 1801 when he entered into a partnership with Hugh Rose of Glastullich and John Bethune (both also from Easter Ross) in plantation Geanies on the Corentyne coast. The young Scots soldier, Thomas Staunton St Clair, described a visit to the plantation in 1806 in A residence in the West Indies . Macleod was also in business in Stabroek, Demerara, where he was a member of the Court of Justice of the Colony. He is mentioned a number of times in letters from both Peter Fairbairn, the manager of Seaforth's estates [NAS GD46] and Edward Fraser of Reelig. 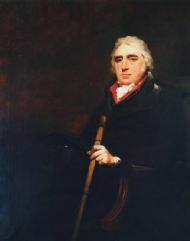 Fairbairn bought slaves on a number of occasions from Macleod and his partner, William Mackenzie, who were in business with the slave trader George Baillie. Macleod also prepared a 'magnificent collection of stuffed birds and animals' for Lord Seaforth. Donald Mackay from Inverness was employed as a clerk in Demerara with Mackenzie & Co, which was placed in the hands of trustees in 1806. The business may have ended in anticipation of the abolition of the slave trade, but there were in any case significant tensions between Baillie and Macleod, noted by Peter Fairbairn. In 1816 he was appointed 'Conservator of the Privileges of His Majesty's Royal Boroughs in Scotland' at Campvere, in the Netherlands [Scots Magazine, 1816, p477]. James Craufurd Macleod died in 1821, pre-deceasing his father, and was buried in the family grave at Tarbat church in Ross-shire.